Thursday, October 4th from 4PM to 8PM at all Arizona locations! Visit any Arizona Macayo location as local law enforcement personnel “serve the community” by serving as our wait staff and hosts! 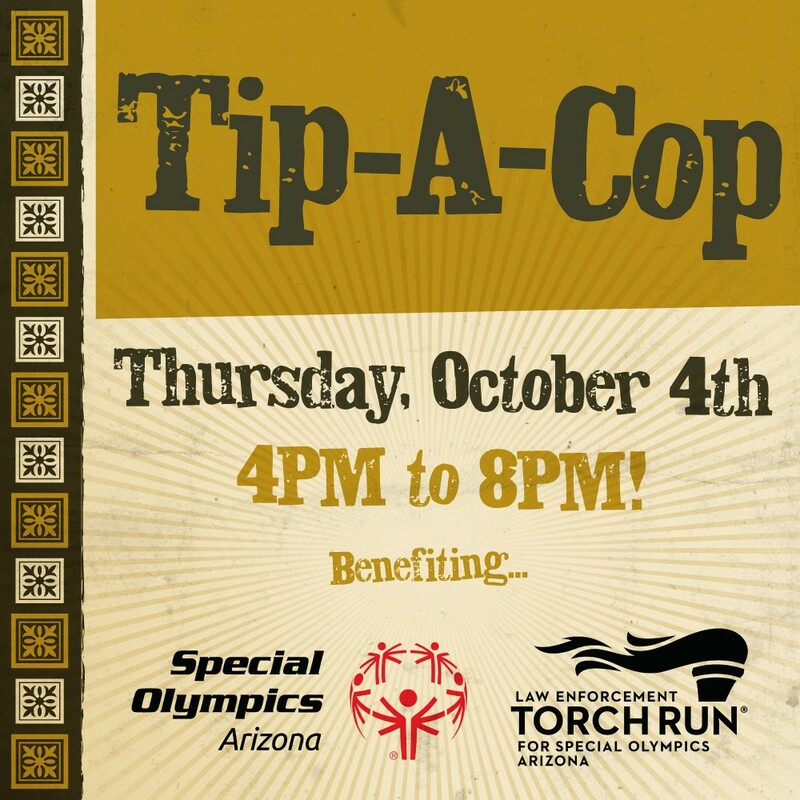 The tips they earn from our guests will benefit Special Olympics Arizona!